Our expertise means that our systems are amongst the most reliable available and you’ll be assured of complete peace of mind knowing your property is safe. 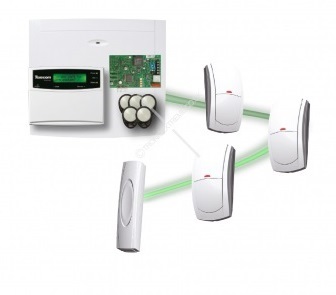 We maximize security solutions and minimize inconvenience and eliminate false alarms so that you can rely on your intruder alarms to work at all times. Every system is designed around your home and the way you live. We’ll make sure that yours is simple to use and you can choose additional features such as one-touch operation, Carbon Monoxide (CO), Optical Smoke Detection, Temperature Detector, Natural Gas detector, Flood Detection and Panic button facility. We can install a speech dialler to the alarm system where upon being triggered it will call up to four numbers of your choice and leave a pre recorded message. This will alert you, family and friends that your alarm has activated. If you want to know more about our SSAIB approved burglar alarm installations, get in touch and book a survey. Our technicians are available to determine the Alarm System best suited to your needs. Wireless security systems protect your home with award winning two-way technology and a range of peripherals to suit any situation, while removing the hassle and disruption of running wires and cables. The wireless security system can be installed with ease in new builds or existing houses with minimal disruption. Thanks to innovative wireless technology, its even ideal for listed buildings. For more information, please just click on the links below.